FOUR in five firms in Northern Ireland say they have considered setting up or expanding operations in the European Union to overcome fears around Brexit and ease trading with the single market after the UK's departure in March 2019. And 40 per cent of the companies represented at a Institute of Directors (IoD) Northern Ireland workshop said they were not prepared for Brexit, while 20 per cent had started scenario planning and 33 per cent were having Brexit-related discussions with customers and suppliers. But none have as yet carried out an audit of their workforce, they told the IoD, which has produced a 10-point guide to prepare companies for the UK's departure from the EU. 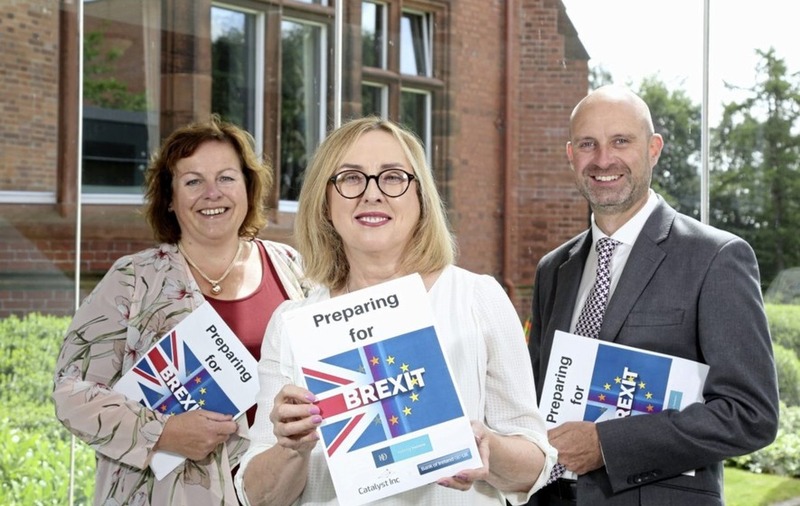 Hosted at Riddel Hall in Belfast in partnership with Catalyst Inc and Bank of Ireland, the seminar was held to discuss and share the practical ways in which Northern Ireland companies are preparing for the impact of Brexit. IoD NI's outgoing irector Linda Brown said the workshop formed a key part of informing the wider Brexit debate. Among key concerns voiced by delegates were fears of a shortage of skills due to the potential departure of EU-born workers following Brexit. On trade, the possible introduction of a tariff was cited as a worry, especially for smaller firms which would find any additional costs difficult to absorb. The impact of managing currency risk was also considered a concern. The IoD has produced 10 top tips for preparing for Brexit (available at www.iod.com/ni). They include reviewing business plans, considering cash flow and alternative finance and keeping up to date with recruitment and employment law.